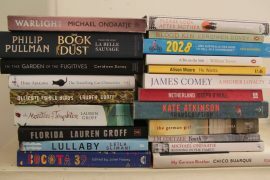 The long list of contenders for the Man Booker Prize has been announced with a handful of first-time authors and an absence of almost all Big Name authors. The judges hadfocused on “novels not novelists” said chair of the judge’s panel Patrick Stothard, editor of The Times Literay Supplement. Sounds ridiculously logical.